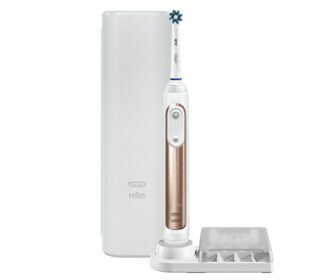 The Oral-B Pro 6000 - Rose Gold rechargeable toothbrush with bluetooth connectivity features presicely angled bristles that reaches deep between teeth to remove more plaque than a regular manual toothbrush and leave your whole mouth clean. 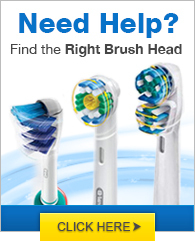 It has 6 different modes of operation like daily clean, sensitive, gum care, whitening, tongue ceaning and pro clean. The 3D movement cleaning system oscillates, rotates, and pulsates to break up and remove up to 100% more plaque. The Oral-B Pro 6000 toothbrush features visible pressure sensor that illuminates if brushing pressure exceeds recommended pressure and provides a short stutter every 30 seconds. Plus, the Bluetooth connectivity connects to the Oral-B's app and provides real-time brushing guidance. The Oral-B Pro 6000 - Rose Gold has many exciting features for users of all types. See the Oral-B Pro 6000 - Rose Gold gallery images above for more product views. The Oral-B Pro 6000 - Rose Gold is sold as a Brand New Unopened Item.